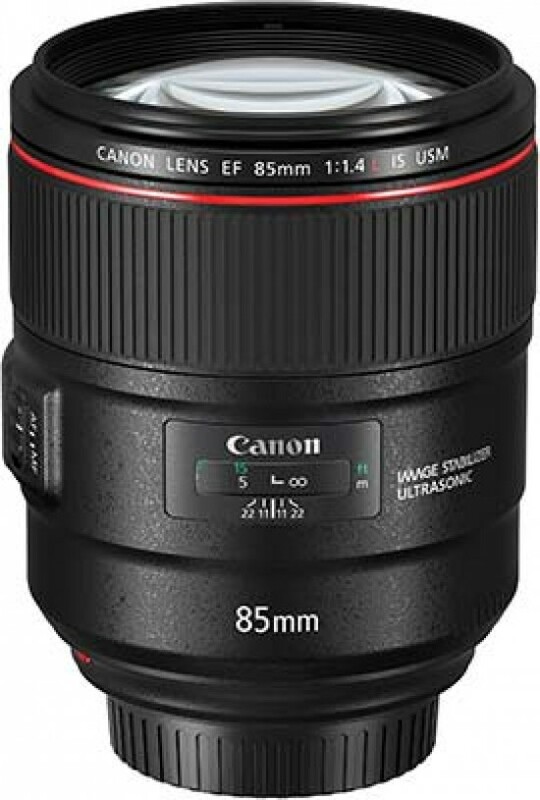 The Canon EF 85mm f/1.4L IS USM is a fantastic choice for professionals and enthusiasts looking for a new 85mm lens to add to their arsenal. It is much, much better than the admittedly much cheaper 85mm f/1.8, and even adds some extra functionality when compared with the more expensive f/1.2 lens - particularly optical image stabilisation. There’s arguably very few occasions when you absolutely need f/1.2 over f/1.4, so if you do a lot of shooting handheld - weddings, reportage and so on - then it probably makes more sense to go for the lens with OIS available (and it helps that it’s cheaper too). Although heavier than the 85mm f/1.8, it still comes in lighter than the 85mm f/1.2 lens, with overall handling very good. If you’re using the lens with one of Canon’s smaller cameras - particularly APS-C models - you may find it to be a little unbalanced, but generally it’s pretty good with all of its full-frame models. Sharpness is excellent throughout the range, helped along by the fact that optical image stabilisation helps keep things nice and sharp even when showing at relatively slow speeds. The bokeh produced by the lens is lovely and smooth, making it ideal both for portraiture and for still life subjects. As it has such a wide aperture, it’s also a good lens to use in low light. Photographers previously had a choice between a very cheap 85mm f/1.8 lens, and a very expensive and difficult to work with 85mm f/1.2 lens. It therefore comes as no huge surprise that Canon has chosen to fill in this gap, leaving a very high quality, but slightly more affordable 85mm that works well for a variety of subjects. Professional photographers are likely to be very keen to get their hands on this lens, while enthusiasts who shoot typical 85mm subjects would also highly benefit from owning it.